How To Get The IRS To Accept Your Offer In Compromise? Do you owe a substantial amount of taxes to the IRS? If so, you've likely looked into establishing a payment plan. 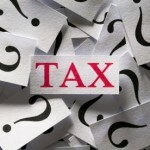 What if you are simply unable to pay your tax balance? In this case, you might consider requesting an offer in compromise, which is a last-resort option that allows you to settle your account for literally pennies on the dollar. The key to getting approved for an offer in compromise is understanding reasonable collection potential which the IRS uses to decide if your account qualifies for this option. 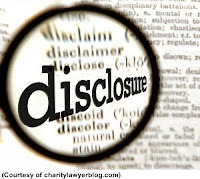 A reasonable collection potential refers to the maximum amount that the IRS believes it can collect from you over time. Generally, the agency uses a simple formula to calculate this amount, which you can easily figure on your own. However, if you want your request for an offer in compromise to be approved, you should offer the IRS at least the same amount as your reasonable collection potential and preferably a little more. If the agency believes it can collect more from you than you are currently offering it has no reason to approve your request. Reasonable collection potential includes two factors: the liquidation value of your assets and your extra monthly income over the next four or five years. To figure your assets' liquidation value, add up the total cash you have on hand and in bank accounts as well as the current value of any investments. You'll also have to include the current value of your real assets, including cars, homes and property. You can calculate this by multiplying the fair market value by 80 percent and then subtracting any outstanding loans against the value. 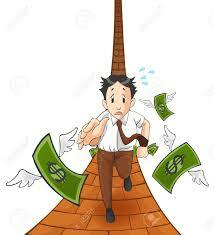 The final figure is your additional monthly income after your necessary living expenses are paid. Simply deduct your essential expenses from your income and then multiply the money that is left by either 12 or 24 to figure your disposable income.. Add up your total disposable income, your current cash and investments and the liquidation value of your assets to arrive at your reasonable collection potential. If you've been considering requesting an offer in compromise from the IRS, you need to understand how to figure your reasonable collection potential. Calculating this number can help you decide how much to offer the IRS as a lump sum which increases the chances that your request will be granted. Completing the forms is just the beginning. 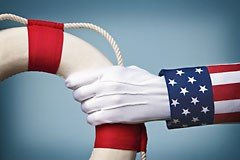 The IRS will ask you for rafts of financial documentation: pay stubs, bank records, vehicle registrations, and myriad other items. This is an exhaustive, time-consuming process. Some taxpayers wind up submitting boxloads of documents to the IRS to support their OIC request. Want to Know if you Qualify for an Offer? The Taxation (Business Tax, Exchange of Information, and Remedial Matters) Billincludes the necessary measures for New Zealand to implement the G20/OECD standard for the Automatic Exchange of Information in tax matters, which New Zealand financial institutions will have to comply with, and measures to further strengthen and update New Zealand's international tax rules with new disclosure requirements for foreign trusts. The Tax Bill also includes the following reforms. Amendments to the disclosure requirements for foreign trusts with New Zealand resident trustees. These amendments are the result of the Government Inquiry into Foreign Trust Disclosure rules. The Bill has now passed through the NZ Parliament and awaits Royal Assent. Need To Read Domicile Your NZ Trust? Singapore's government will enact legislation requiring companies and limited liability partnerships to maintain registers of controlling parties. Companies will be given 60 days to set up their registers, and must send out notices to anyone whom they have reasonable grounds to believe are controllers, or who are likely to know the identity of controllers. Need to Re-Domicile Your Singapore Entity? IRS criminal investigations have decreased over the past few years in the wake of a steady staffing decline, with the 2016 fiscal year seeing fewer cases involving identity theft, money laundering and other financial crimes, according to an agency report released Feb. 27, 2017. The Internal Revenue Service announced in its IRS Criminal Investigation (CI) annual report IR-2017-47, reflecting the significant accomplishments and criminal enforcement actions taken in fiscal year 2016. The agency’s criminal investigation branch initiated a total of 3,395 cases in 2016, down from 3,853 investigations it handled during the previous year, the Internal Revenue Service’s report said. Pointing to “a clear trend” of staffing decline affecting the agency’s core mission tax work, the report noted that between 2011 and 2016, staffing levels for special agents and professional staff dropped by about 19 and 22 percent, respectively. The CI report is released each year for the purpose of highlighting the agency’s successes while providing a historical snapshot of the make-up and priorities of the organization. 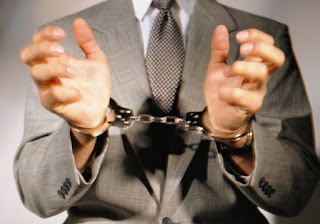 CI is the only federal law enforcement agency with jurisdiction over federal tax crimes. all of federal law enforcement at 92.1%. That conviction rate speaks to the thoroughness of the investigations. CI is routinely called upon by prosecutors across the country to lead financial investigations on a wide variety of financial crimes including international tax evasion, identity theft, terrorist financing and transnational organized crime.